Enhanced contrast image of an active pit detected in Seth region of Comet 67P/Churyumov-Gerasimenko. The enhanced image reveals fine structures in the shadow of the pit, interpreted as jet-like features rising from the pit. 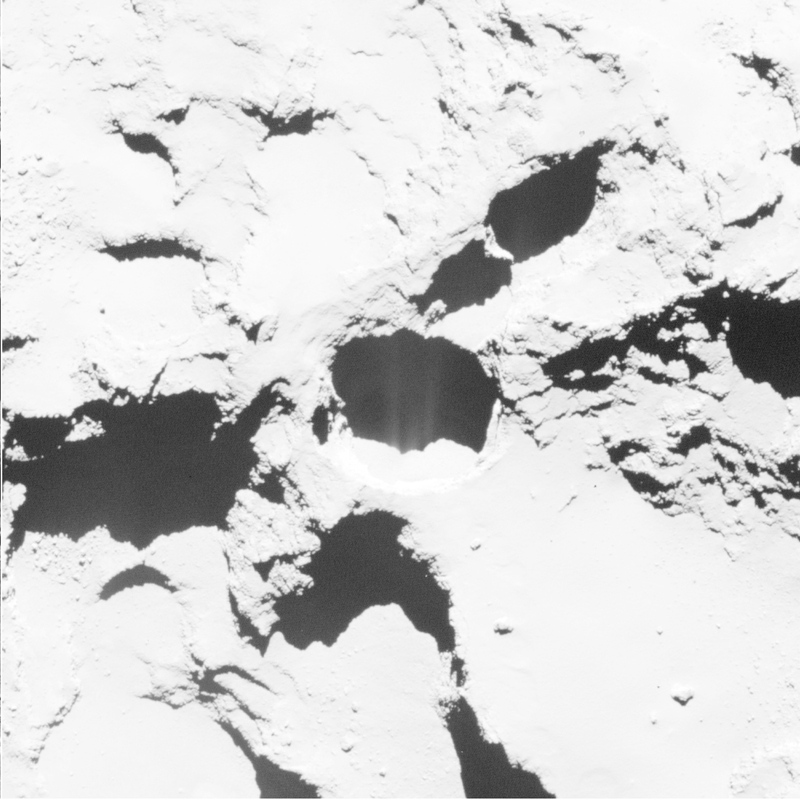 This OSIRIS narrow-angle camera image was acquired on 28 August 2014 at a distance of 60 km from the comet. The image resolution is 1 m/pixel.